Each month we offer a title at a reduced price, don't miss out!! 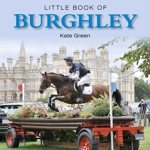 Badminton Horse Trials Members can order Badminton DVDs here and SAVE 10% using the member's coupon code. SPECIAL OFFER: Little Book of Badminton AND Badminton 2013 Review DVD - Just £29.99. Celebrate Team GB's success over the years with some great training advice from these top British riders! The "Enjoying" series of training programmes provides useful tips, practical exercises and training advice from top professional riders. An invaluable aid to any training programme in every discipline and at all levels. A helpful series of training programmes that provide useful tips, practical exercises and training advice from top professional riders. An invaluable aid to any training programme in every discipline and at all levels. Inspiring DVDs covering all aspects of training and healthcare to help you and your horse. Everything Dressage! Training, documentaries and reviews. Indulge! A comprehensive selection of DVDs for the driving enthusiast from beginners to competition driving. Fly on the wall documentaries, action packed drama and fun - get the insider's view, take a look behind the scenes or just enjoy some beautiful programmes about horses. Training with top riders, facinating documentaries and thrilling event reviews - Action packed DVDs, just like the sport! A selection of educational DVDs on horse care. An fascinating selection of horse racing DVDs covering some of the greatest horses of all time, some fabulous reviews of seasons past and great races. 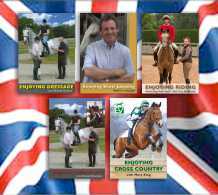 Training, documentaries and reviews - thrilling DVDs for the most dedicated show jumping enthusiast or competitor.